You don't have to say goodbye to your summer wardrobe yet!! 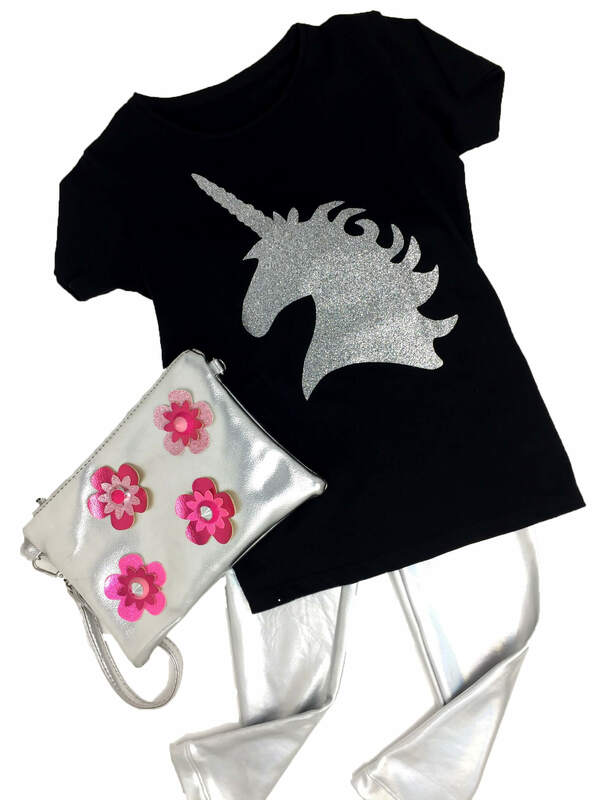 Our Pirates and Unicorns fringe camo t-shirts can go from a beach coverup to an everyday top paired with some leggings or shorts. 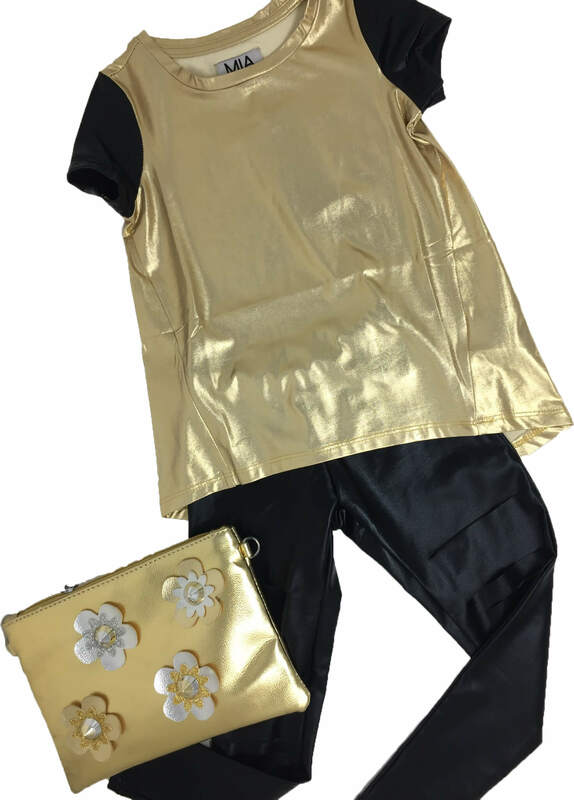 We paired ours with MIA metallic leggings and a Bari Lynn convertible clutch.